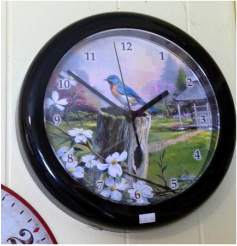 So pretty, you can almost hear him singing! 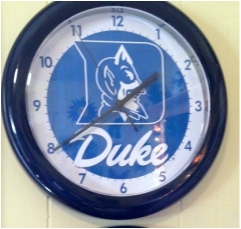 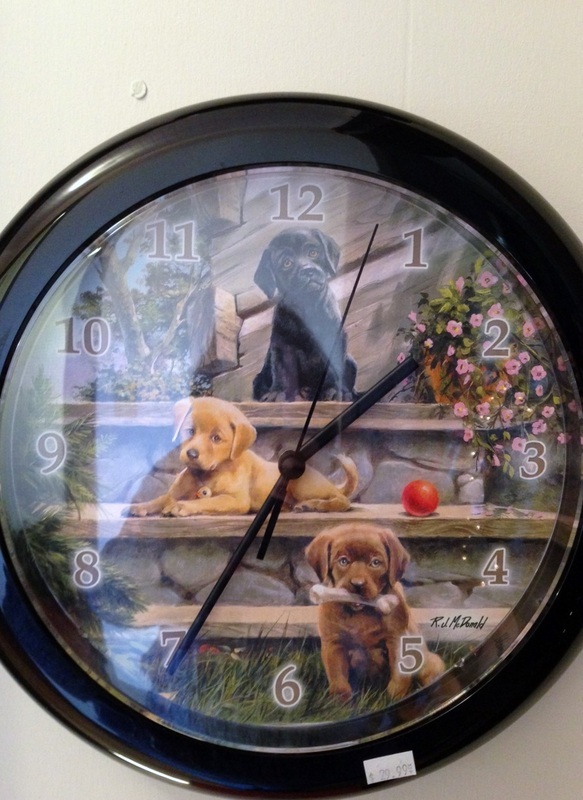 A trio of adorable Lab puppies adorn this clock. 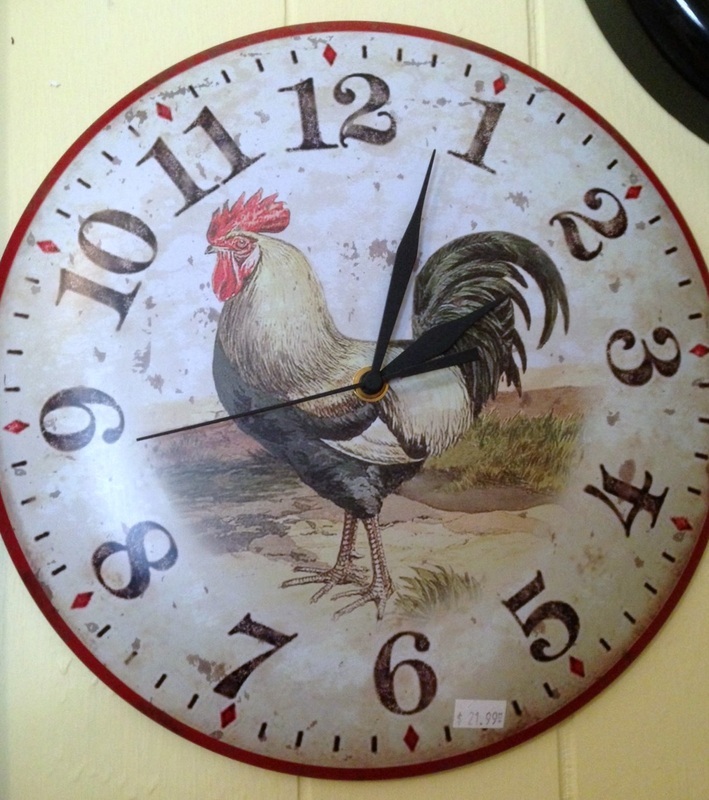 Rise and Shine with this vintage metal rooster clock. 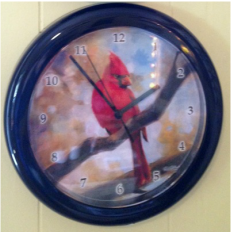 Dawn is breaking in this beautiful clock. 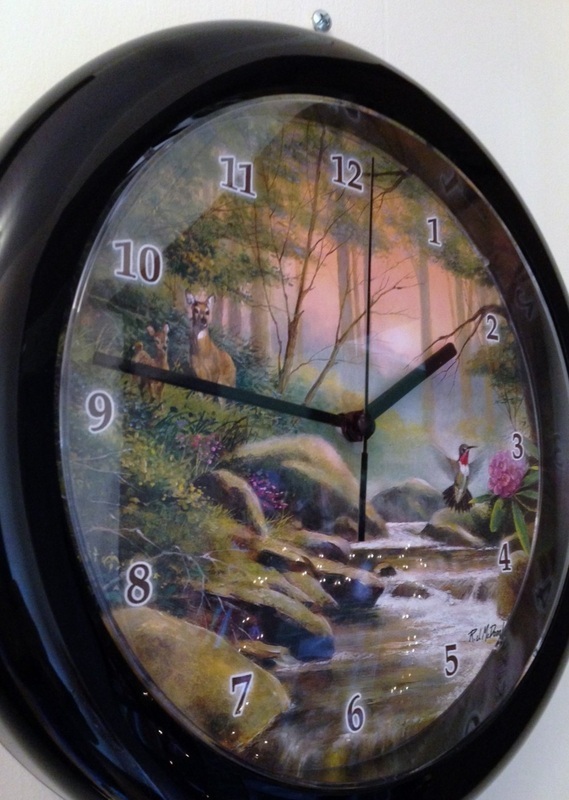 Every garden tells a story clock. 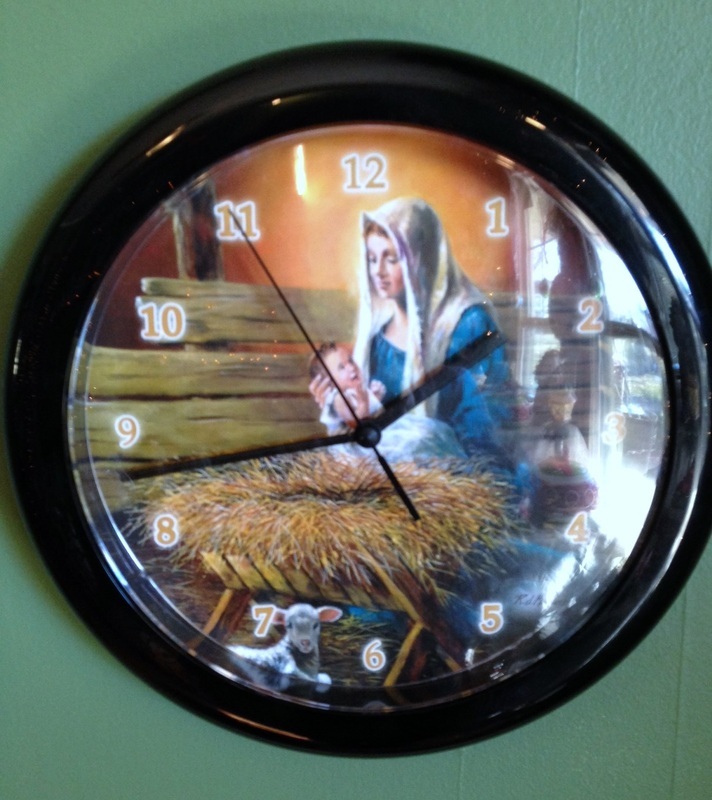 Several clocks with beautiful Christmas images.